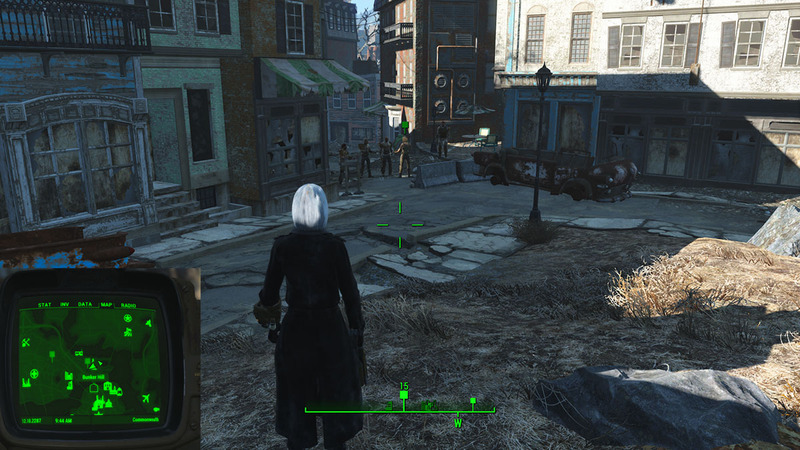 The Silver Shroud is a very long yet rewarding mission given by ghoul Kent Conolly at Goodneighbor. 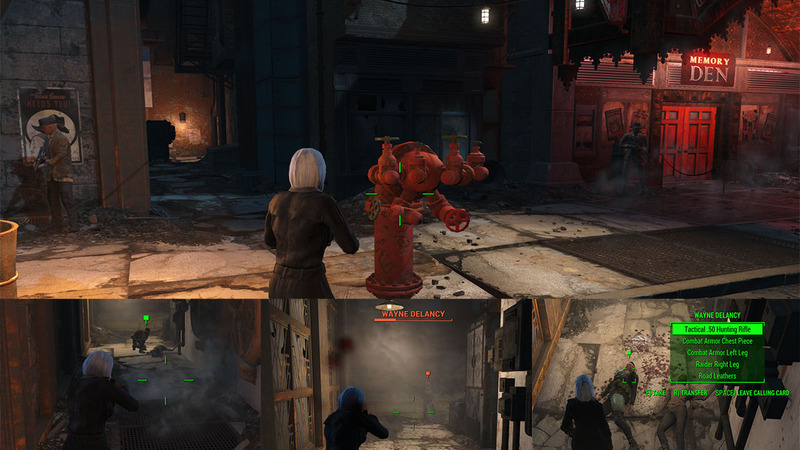 This is one of the required missions to get John Hancock as a companion too. Learn how to solve every step. 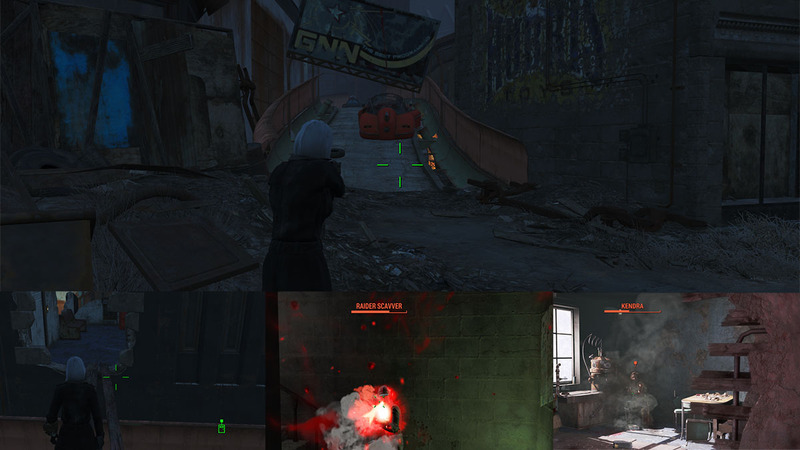 Fighting crime in Goodneighbor as the Silver Shroud will be taking some of your time once you engage this mission. Between recovering a forgotten costume to killing several criminal targets, the fun is just about to get started. 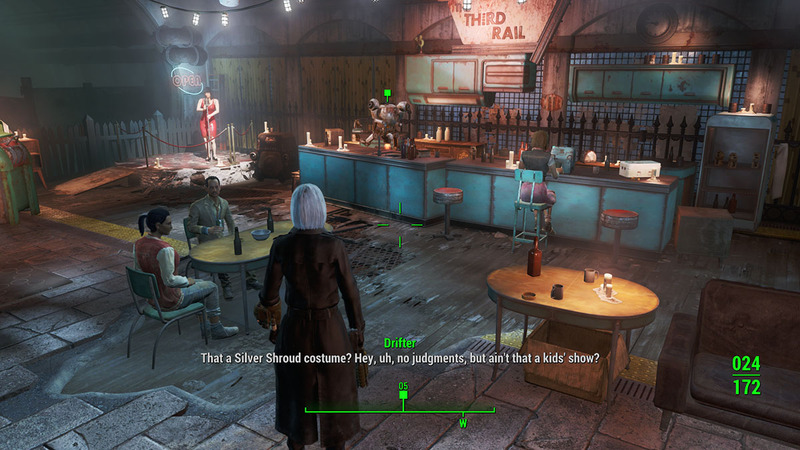 Remember to impersonate the Silver Shroud as much as you can to keep the hero role alive and don’t spare the criminals, because it will really disappoint any companion that you might bring with you. Here’s how to succeed as the righteous her of Goodneigbor. 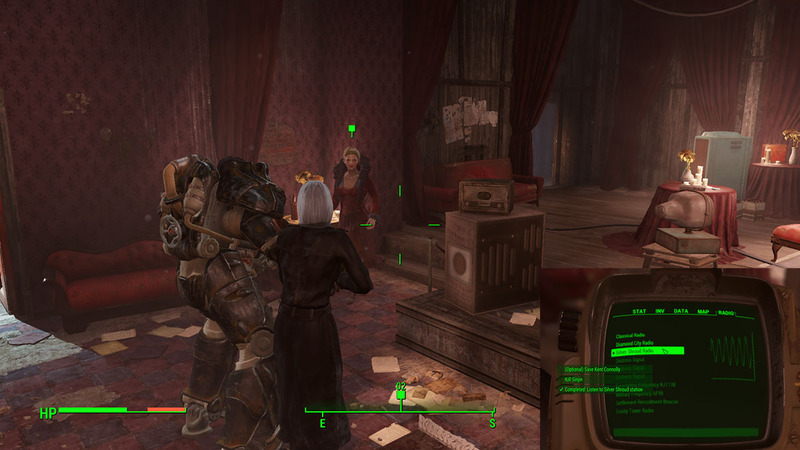 The Silver Shroud mission is given by the radio broadcaster Kent Connolly at the Memory Den in Goodneightbor. Talk to him and offer your help with a glorious but forgotten costume that should be found in a nearby comics store. 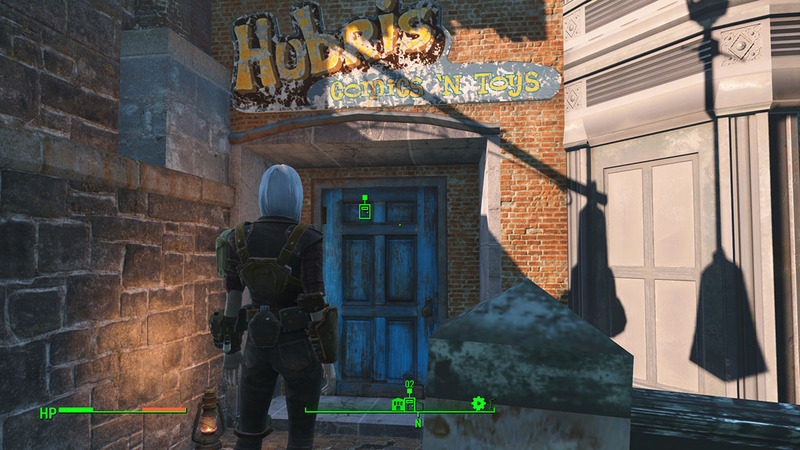 Go to Hubris Comics ‘N Toys, which is located near Vault 114 and east of Trinity Plaza. The place will be empty, so just find your way upwards once inside the building. On the last floor, you’ll find a huge scenario with a flashlight. At the left, you’ll also realize a fancy suit displayed in a mannequin. 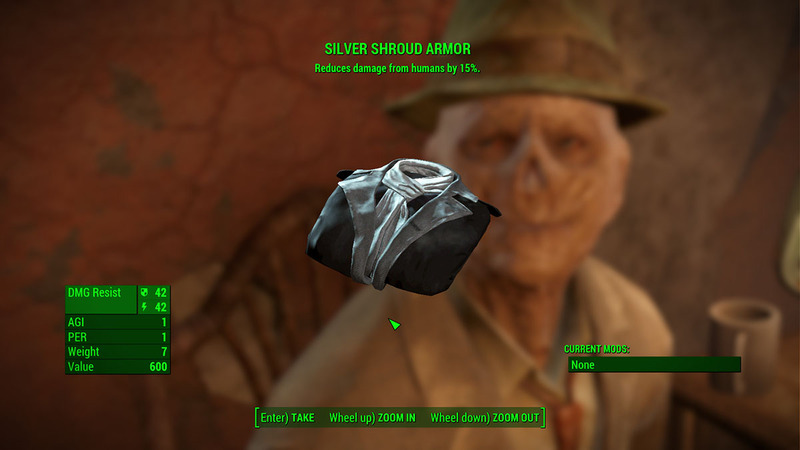 Pick it up, its the Silver Shroud costume that you’re looking for. 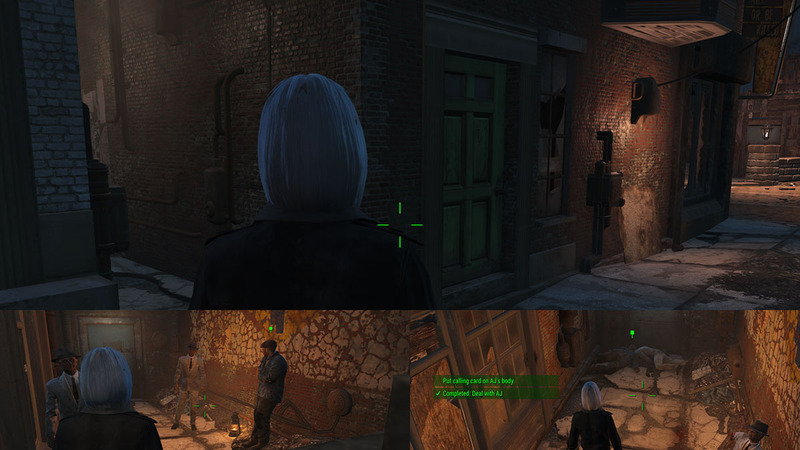 Return to Connolly at Goodneighbor and retrieve the costume. The ghoul will tell you that he is no hero and the costume will not suit him well. Offer yourself to become the mighty Silver Shroud to continue the mission. You’ll receive the costume and respective hat in your inventory. After receiving the costume, don’t forget to wear it. Then, turn on your radio at the Silver Shroud Radio frequency. The next step will be enabled shortly after you do this. A new location will be displayed in your map, head there. Also, try to keep the radio on until you finish this mission. I know it’s annoying but you’ll need to turn it on several times. You must take down Wayne DeLancy, a top criminal in the town. He’s located at a slightly hidden alley near the Memory Den. You can’t miss it, it’s right to the left side of the building, then just follow the one way path and you’ll find Wayne. Kill him and leave a calling card on his body. To do this click on his body and then press Space. Listen to the radio again to get the next criminal’s location. Head to the entrance of Goodneighbor and head right from the main path. That’s the alley, where AJ and his bodyguards will be waiting for you. This time is AJ, a drug-dealer that sells even to children. Kill him too and leave a calling card on his corpse with Enter. Now, head to into the Third Rail, it’s the underground metro station just under the Old State House. Keep going until you find a bar stand with a robot behind it. 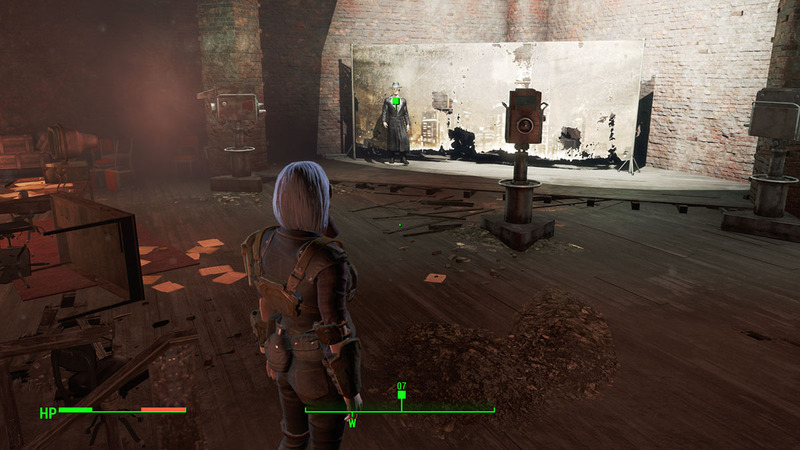 That’s Whitechapel Charlie, go talk to it and ask about your next target, Kendra. You’ll learn that she’s a skilled assassin and that she is staying in an outpost close to the town. Finding Kendra is a bit tricky but here’s what to do. 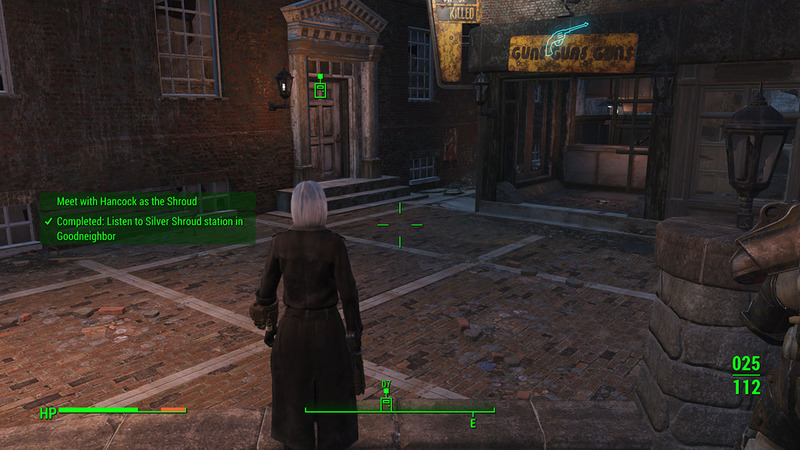 Head outside of Goodneighbor and turn left. Keep going until you see a green-orange bridge, go there and keep walking until you see a path to a building with a wooden ramp. Enter the outpost and keep going up until you find Kendra. You’ll find a few enemies in your way but nothing serious. Don’t forget to leave the calling note on her body. 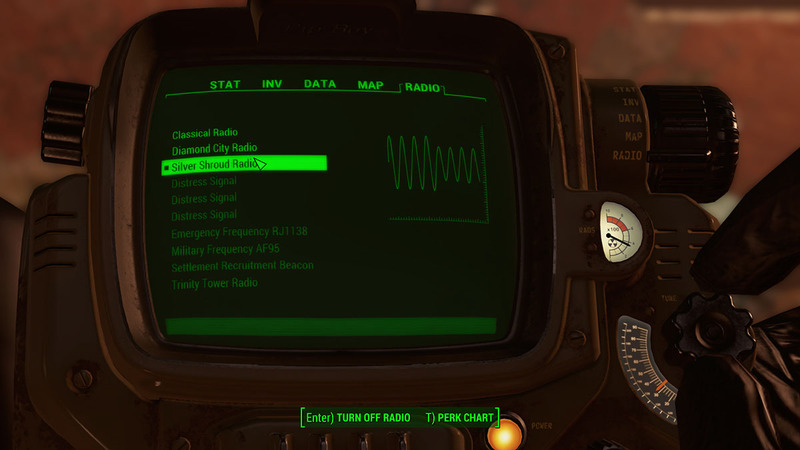 Go back to Goodneighbor and listen to the Silver Shroud Radio once again. Then, you’ll get a chance to personally talk with the mayor of the town at the, John Hancock himself. Go tot he Old State House, where he’ll request you to take care of some dangerous people that are threatening the civilians around the area. Accept to do justice as the Silver Shroud. Now, head north towards Bunker Hill and look outside the town. You’ll find Smiley Kate and her gang in a corner. 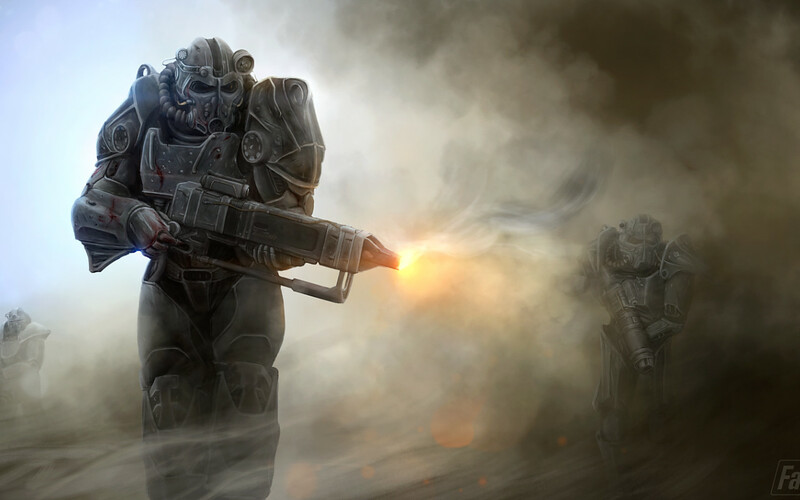 Ambush them and leave no one alive. Then, put a calling note on Kate’s body to proceed. Your next target is Northy and he’s located in a building to the west. Follow the road and be aware of ghouls and wild animals. When you reach the destination, kill everyone as usual and leave a calling note on Northy’s body. Check his body for clues too, you’ll find a note called Find the Silver Shroud. 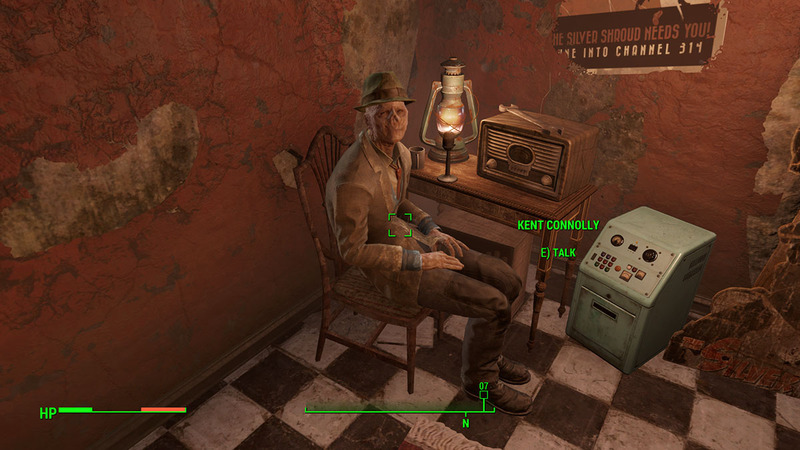 Return to Goodneighborn and head to the Memory Den to talk to Irma about Kent Connolly. She’ll tell you that Sinjin’s gang came to kidnap Kent. Listen to the radio frequency once more to learn about Sinjin’s location. 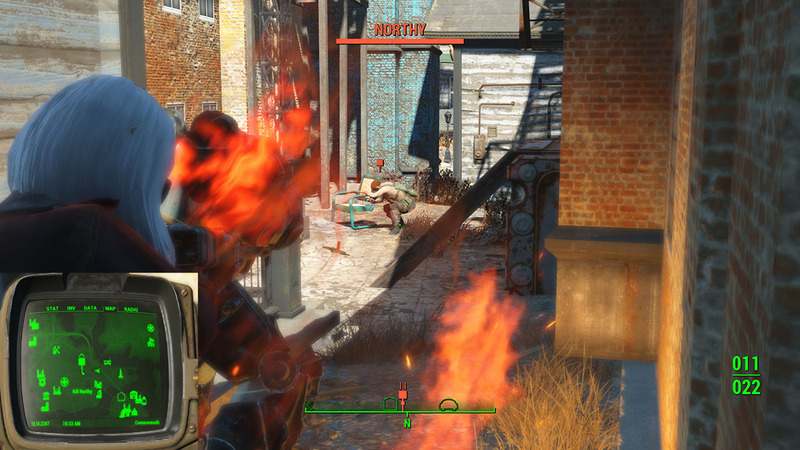 Sinjin is waiting for the Silver Shroud at the Milton General Hospital, which is located south of Diamond City. 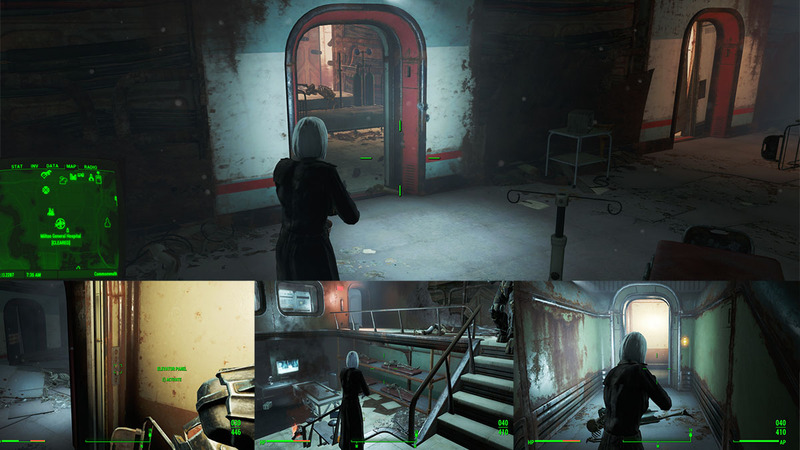 Enter the hospital and seek a way upwards through two elevators. Then, when you reach an area with many rooms, there’s one with a gap in the floor, fall down and keep going. Note that there are several enemies and turrets in this place. Now, you’ll see a door to your left and that’s where the gang is waiting you with Kent as a hostage. Saving him is optional, so the decision is entirely up to you. You need to aim at their heads while pressing Q in order to save Kent. If you’re too weak or slow, you won’t be able to kill them fast enough tho. 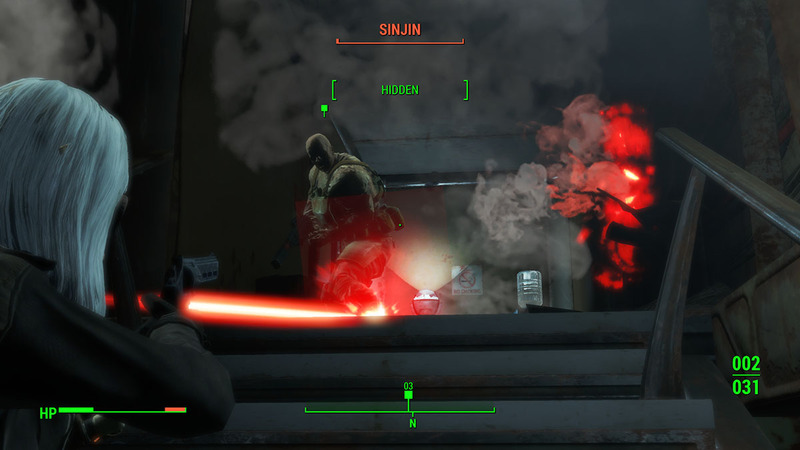 Kill everyone, including Sinjin to complete the mission. 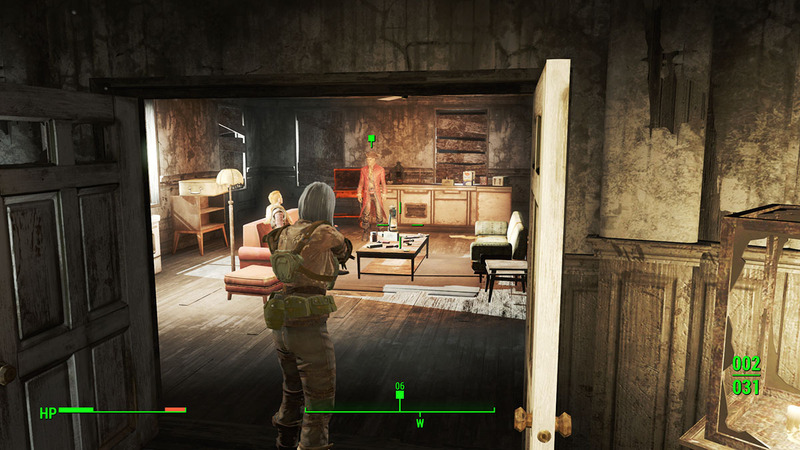 The final step is to return to Hancock at Goodneighbor. He’ll reward you extremely well and your chances to get him as a companion are now much higher, since the Silver Shroud mission is one of the requirements.